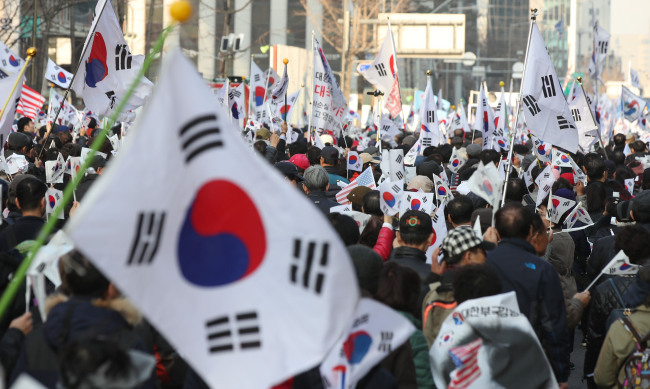 One day after President Park Geun-hye was formally ousted by the court, thousands of her supporters took to the streets in central Seoul on Saturday, calling for the impeachment to be nullified. “We cannot accept or yield to a ruling by the Constitutional Court. In the name of the people, we demand the dissolution of the court and a retrial by nine new justices,” said Jeong Kwang-yong, head of an association of groups against Park’s impeachment. The eight-justice court unanimously ruled to remove her from office Friday. 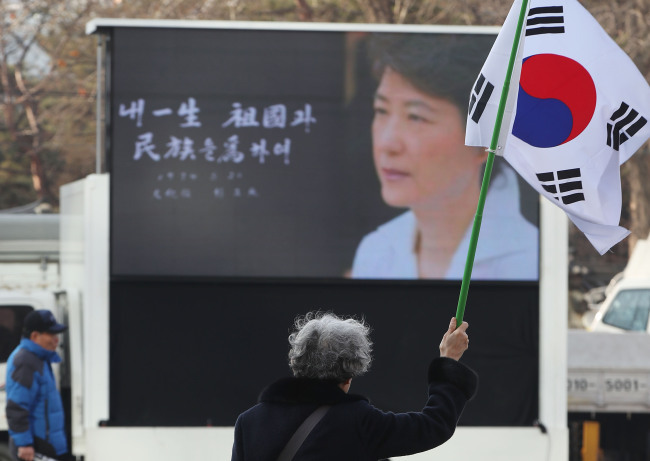 It said Park had abused her presidential authority to help her longtime friend Choi Soon-sil pursue personal gain, which violated the spirit of democracy and rule of law. Park has not offered any message of concession nor moved out of the presidential compound. She is expected to move in the next few days. 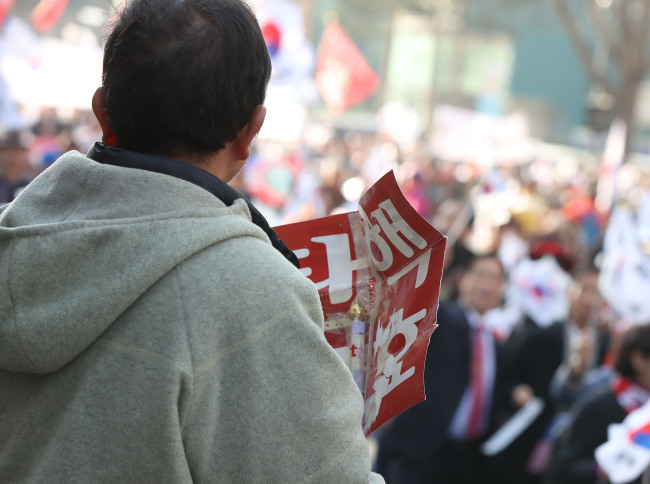 Park’s supporters angrily reacted to the verdict, denouncing the court as “biased” and vowing not to accept the result. There have been growing fears of possible violence. Three pro-Park protestors died from injuries sustained during a violent protest Friday, which prompted police to raise its alert to the second-highest level Saturday, dispatching some 16,000 officers. There were no major reports of injuries during Saturday’s rally. But earlier in the morning, two pro-Park supporters were taken into custody after pouring gasoline on a police station in central Seoul, blaming police for the deaths of the protestors. “The deaths that took place yesterday are all because police used force first. The violent rallies are a fraud, a result of unfair media coverage. Accidents took place because the media do not tell the truth,” said Pyeon In-sook, 65. Anti-Park protesters, who have been holding candlelight vigils almost every Saturday evening since Park’s scandal surfaced in late October, are set to stage what could be the last rally in Gwanghwamun Square at 4 p.m. -- this time to celebrate their victory.